With a hint of spring in the air on Saturday, the REIV clearance rate picked up a little more to 81%, although from another smaller sample size of only 486 auctions. The talk with agents is all about listings…..or the lack thereof. In the coming weeks, we will see the auctions number increase, with September 24 and October 29 looking to be the biggest – although numbers are still likely to be lower than in previous years. Property land rates for owners in many councils (Boroondara in particular) have spiked recently to the tune of 30-50% in some cases, keeping pace with the recent lift in property process. This has come as bit of shock to many home owners – particularly the elderly. With many buyers finding it hard to upsize into the next property, renovations are becoming more popular as an option, and councils are struggling to keep up with the influx of planning applications. 42 View Street Mont Albert (Mark Read/Dan Song, Jellis Craig), a great parcel of land – 943sqm – $2.2million or $2,333sqm. 12 Wahroogna Road Murrumbeena (Cedric & Maria Newbond, Woodards) – 707sqm south facing rear. Ideal new home site in terms of size – $1.42m or $2,008sqm. A good-sized crowd gathered to watch the auction of this beautiful Edwardian on a prominent corner of the prized Gascoigne Estate. Jack Bongiorno stepped out and gave a thorough preamble before tabling a vendor bid of $1.7m to kick-start proceedings. 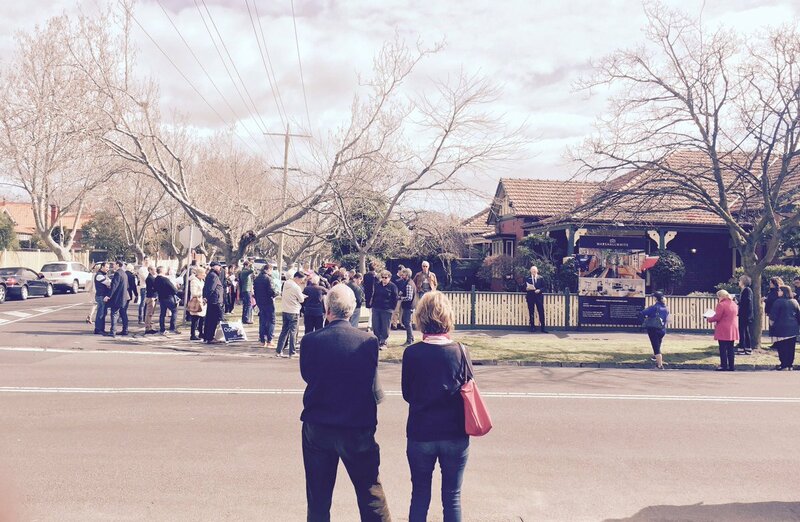 In all, there were 6 bidders vying for the home – at $2.13m Jack announced that the reserve had been met, and at $2.305m the hammer came down to a very happy purchaser. 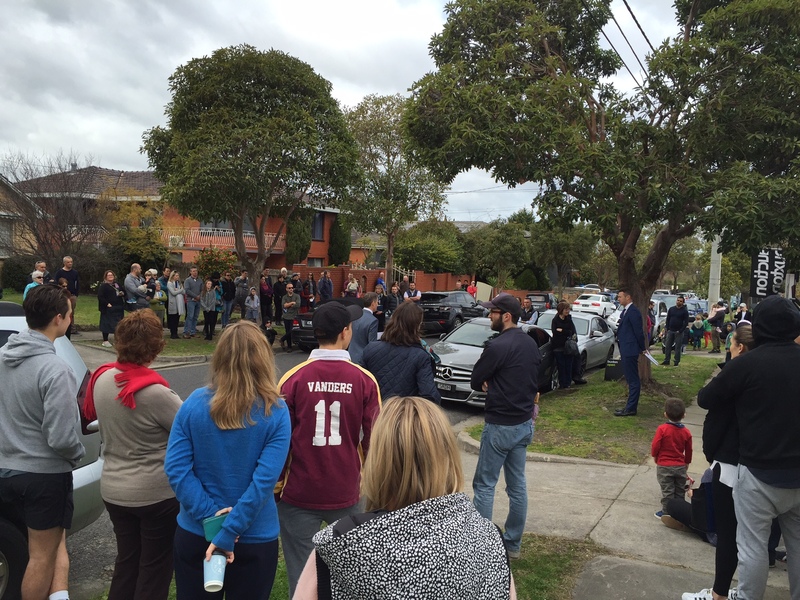 Maybe 70 people lined both sides of Emo Road to get a glimpse of the auction action at number 33 – Daniel Wheeler was our auctioneer and, after extolling the virtues of the house and its location, called for an opening bid. Bidder 1 offered $1.6m and we were away. Eventually, three more bidders joined the contest and the price rose steadily in $20k increments. 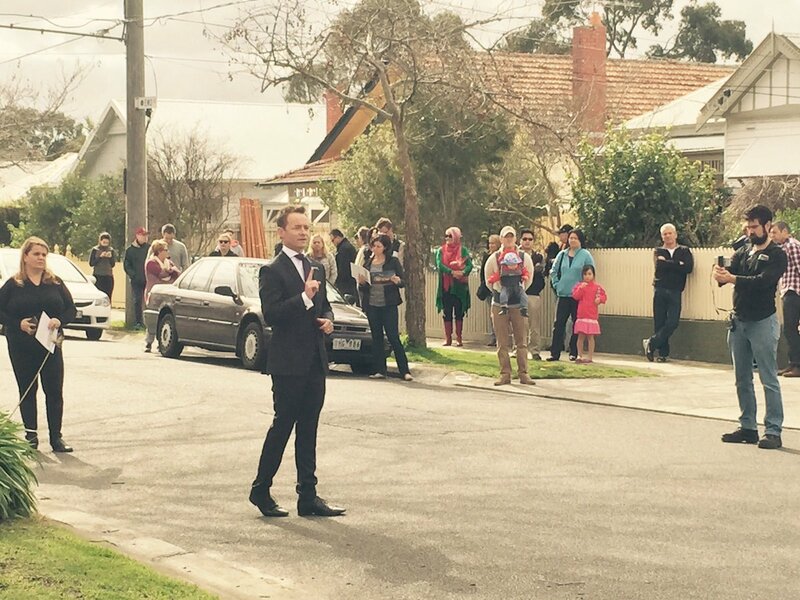 At $1.72m Daniel advised he would be selling, with Bidder 4 taking the keys at $2.08m. Agent Opinion: What is the current status of the property market in your area and where do you think it is headed from here? Jeff Gole (Abercromby’s): “The market in the Malvern, Malvern East and inner Glen Iris areas (or simply put, Stonnington ) went through a quiet period in June/July. This was mainly due to a lack of stock, school holidays and the lead up to the Federal Elections although any sales during this period produced excellent results.